A Valentine’s gift from Gus! 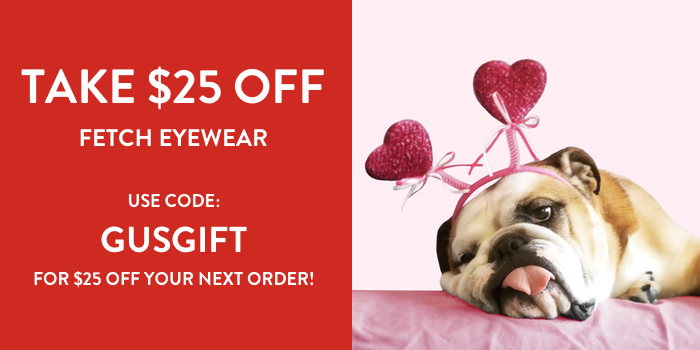 This Valentine’s Day, Fetch Eyewear is celebrating the loving pets in our lives and giving you $25 off your next FETCH order! Use code GUSGIFT through February 14th at checkout for the discount!